I purchased a Vapr two years ago. I am embarrassed to admit, I still have not opened it. I am slightly nervous about the "tip" not being "Moist" enough after sitting unused for two years. I have seen new improved tips for sale on Ebay, but most dealers appear to be sold out of replacement tips. Can any users of Vapr please help me identify... or steer me to the best new replacement tip Are these tips I can buy from bulk Ebay-Vape distributors....? A lot of magic shops are now selling the replacement heat coil, but do not offer instructions on how to install it. The existing coil is connected by 2 wires which I cannot see where they connect. A lot of people on forums are asking the same question so it must be a common concern. Has anyone changed out their heat coil and can shine and provide some guidance? My VAPR died also - much sooner than I expected especially based on the price point. My research proved that our experience is quite common. Of the three components in the smoke production unit, two of the three have design issues. The original heater coils died quickly. SansMinds has since released a new model that is supposed to work. However, it’s the vaporizer that’s the issue for myself and others. While replacements are listed on their website, they have been out of stock for a long time. Multiple emails to SansMinds have gone unanswered. A UK magic dealer, Prop Dog, has posted videos on how to hack VAPR and use an e-cigarette as the smoke unit. 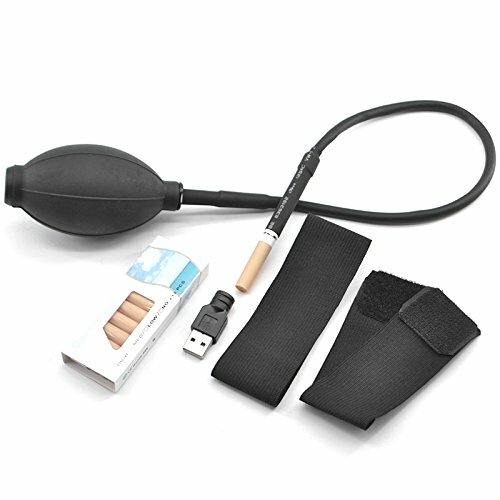 They also offer an adapter that accommodates the e-cigarettes size. It appears that standard e-cigarette is wider than the VAPR vaporizer. I haven’t pursued this avenue yet. My next step is to take the unit into a Smoke/Vape shop and ask if they have something similar and go from there. I now understand why SansMinds sold an extended warranty. Perhaps they knew the design had issues. Hi, I may have a tip for you at the shop. Hmmm...Your wonderful puppet Behemoth looks awfully familiar, Brian. Tribute to a devious friend? I ordered 2 so that I would have a backup. 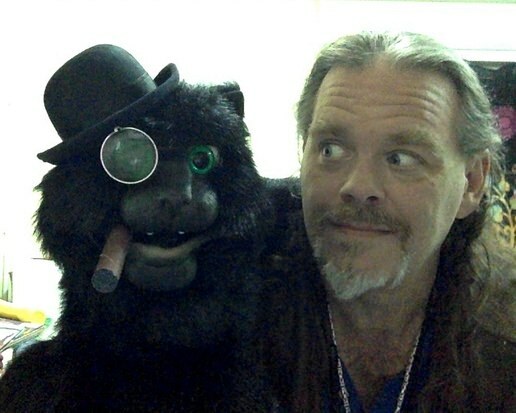 I needed the original Vapr to have my puppet Behemoth smoke a cigar. This works beautifully and a fraction of the cost. The hand pump provides the smoke I need to simulate a puff off his cigar, but if you have the original Vapr pump/motor you should be able to easily connect to this hand model and use as a smoke device. Pros: The price, works well, and comes with a 10 pack of puffs (oils). Rechargeable by USP connection. Cons: Ships from China so it will take awhile to arrive, has no instructions. Overall: It is worth the purchase. I figured out the device without the instructions (unscrew smoke capsule and connect usb to cable. Comes with a capsule attached but is dried out so replace. Make sure connections are tight to prevent smoke leakage. $16 delivered if you have Prime.